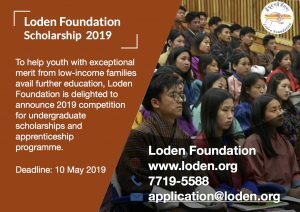 Every year, Loden Foundation provides scholarships for young Bhutanese to pursue undergraduate studies within or outside Bhutan. Through this scholarship we hope to help youth with exceptional merit from low-income families avail further education. We know that graduating from high school, often referred to in Bhutan as the ‘turning point,’ is the most crucial phase of your life and it can be quite stressful. Therefore, we are delighted to share undergraduate scholarships for this year. In addition, this year we are also introducing our ‘Apprentice Programme’ where we wish to also support useful trainings and diplomas involving apprenticement and hands on learning. If you are considering to apply for our scholarship or a training opportunity, you must clearly explain your personal ambition, choice of subject/course and financial need. Remember, we are looking to support students who demonstrate strength in the specific field of study, economic need and pursue degrees or courses, which can fill employment gaps in Bhutan. The candidates must demonstrate strength in the specific field of study, economic need and pursue degrees, which can fill employment gaps in Bhutan. The applicants must be recent class 12 graduates. However, depending on a case-by-case basis, applicants who have had gap year may also apply but s/he must clearly justify the gap year. Applicants who already obtained an offer of full scholarship from other institutions will not be eligible. The scholarships will cover full or partial costs either within or outside the country with a maximum funding amount of Nu. 200,000 per year. The candidates must demonstrate strength in the specific field of skill-based training; the economic need and the course should fill employment gaps in Bhutan. The applicants must have minimum class 12 pass certificate. Applicants who have prior experience in the related field of study will be given preference or must have a clear plan of work after completion of the course. The support will cover full or partial costs either within or outside the country with a maximum funding amount of Nu. 200,000 per course. Interested candidates must submit their applications by 10 May before 5:00 pm. 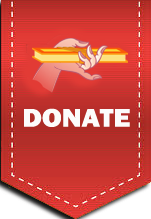 The application documents can either be submitted in printed copies at the Loden Foundation office and email the documents in PDF format at application@loden.org or sent through Post Box at Loden Foundation, PO Box 131 and submit soft copies in email. Scanned copy of academic transcript of class X and XII. Submit up to five certificates or any written document, which validates your achievement in different areas such as leadership, sports, academic excellence, volunteerism or other. Remember you can only submit one certificate from each field. For instance, if you have 10 certificates in sports, only one certificate will be counted. IMPORTANT: The deadline to submit your application is on 10 May 2019 before 5:00 pm. Take your time to prepare the necessary documents and submit your documents on time. For further information, talk to Mr. Penchela, Programme Officer – Education at 7719-5588 (during office hours) or email us at application@loden.org inquiries. Only shortlisted candidates will be contacted for the final interview. We wish you good luck!